Trochu is a cabled toque, knit from the bottom up, and named after a small town in Central Alberta, Canada. 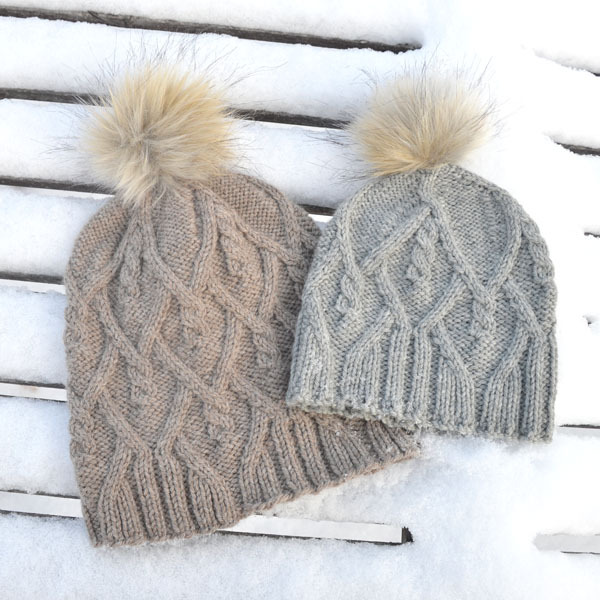 Knit in a light worsted weight yarn and using a smaller needle gauge, this toque creates a denser fabric, protecting against the cold wind that barrels down the Rocky Mountains and whistles across the Canadian prairies in winter. 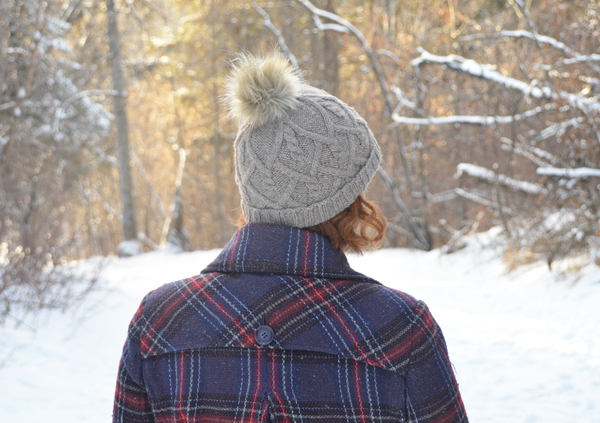 Trochu is designed to be either worn as a slouch, or with a rolled brim for a more traditional toque. 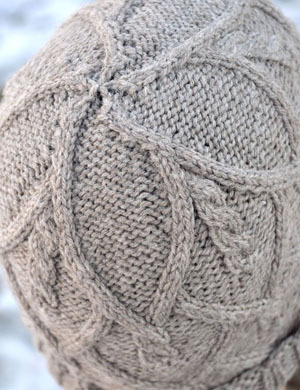 The toque should be knit with approximately 2-4” of negative ease. The sample photographed is knit in a medium and modelled on a 21” head.